Islamic University in Gaza (IUG). The story begins with Carleton University’s admission, last week, that the Ottawa school has a problem with the $15 million donor agreement that led to the establishment of its Clayton H. Riddell School of Political Management. Carleton spokesperson Beth Gorham told CP that the university plans to “rework the provisions in collaboration with the donor” to ensure that it is clear that the university provides direction and makes decisions according to established academic policies, processes and procedures. CAUT is a union-like organization which its leaders suggest is mandated to represent university teachers on a range of issues. Those issues include academic freedom and the perceived potential for donor influence allegedly running interference with such freedom. This past spring, CAUT threatened to boycott Wilfrid Laurier University and the University of Waterloo if they did not “amend the governance structure for the (jointly-run) Balsillie School of International Affairs so that academic integrity is ensured.” The school was bankrolled by Jim Balsillie, co-founder of Research in Motion (RIM), the developers of the Blackberry handheld device. 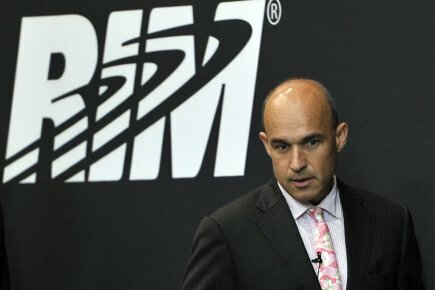 RIM flourished for years before its recent scroll down (pun intended) into harder times. The nature of the possible boycott was not described but it could include encouraging CAUT members not to accept teaching positions at the school. CAUT was planning, at the time, to produce similar reports on two other Christian schools, Canadian Mennonite University in Manitoba and Crandall University, a Baptist institution in New Brunswick. At the time of the TWU critique, I interviewed David Robinson, the CAUT associate executive director. He suggested that a school like Trinity “would not be considered a real university”. In May, Subhi Al-Yaziji, dean of Koranic studies at the university, called for the Islamic conquest of Spain and the Vatican. “The conquest of Anbdalusia is an old dream, something Muslims proudly hope for and will continue to hope for in the future,” he said in comments aired on Al-Aqsa TV. All of which promts the question: What does CAUT think about UNESCO’s definition of academic freedom as it relates to Islamic University in Gaza? After all, in western eyes, IUG might seem a tad more restrictive in its religious and/or economic outlooks that any of the above-mentioned Canadian universities – religious or public. This brings us to the question of Preston Manning. CAUT makes the point that its contention with Carleton is rooted, for the most part, in the fact that it was Manning and his Centre for Building Democracy that brought Riddell and the university together to successfully launch the school. CAUT’s Turk suggested to CP’s Cheadle that the Manning Centre is “proudly partisan.” Further, Turk suggests that the university’s decision to hand over control of the Riddell School’s steering committee to Manning and Riddell’s proxies is perplexing. Full disclosure: As many OttawaWatch readers will know, I have a fair regard for Manning’s ability to be, not so much “proudly partisan” as being willing to help people in the conservative movement to be outreaching, willing to walk beside and converse with others who might differ politically. And he does so, often, from his own conciliating faith-based perspective. In that sense, much of what he heads up would meet the most strident requirements of those who advocate for academic freedom. I will wrap today with an example that hopefully will bring this discussion full circle. Last summer, the Manning Centre, Cardus and the Institute of Marriage and Family Canada held a “special briefing” in Ottawa on the subject of “Big Society”, a concept with which the Conservative/Liberal-Democratic coalition government is working in Great Britain. One of the democratic “little platoons” out there is (sic) unions. I have long believed that trade unions are not compatible with modern conservatism. In particular, the beliefs amongst the rank and file members of trade unions are often pretty sensible and very much in line with what I’ve heard here today. But the movements themselves are so organized against our causes. I’m wondering what we can do if not to reach out to the trade union movement on a macro level, then at the very least to memberships of those unions, since they are democratic platoons and play an important role in society. I agree with you that trade union people – and I distinguish between members of trade unions and members of public service unions – are very good candidates for supporting conservative values and policies. If you look at a lot of trade union voters, what are their priorities? More attention to law and order. Those are three fronts on which conservatives are strong and on which trade union people can be approached for support. When it comes to identifying the “little platoons,” the other institutions of society that can assume a greater role for social welfare, members of trade unions are in this category. This statement was well buried in the briefing document and, as far as I can recall, received little media attention. But there was enough meat in both the question and Manning’s answer to indicate that there might be something over which Turk and Manning might wish to have a cup of coffee.